The question is asked where would you rather be? Before you answer, think carefully. 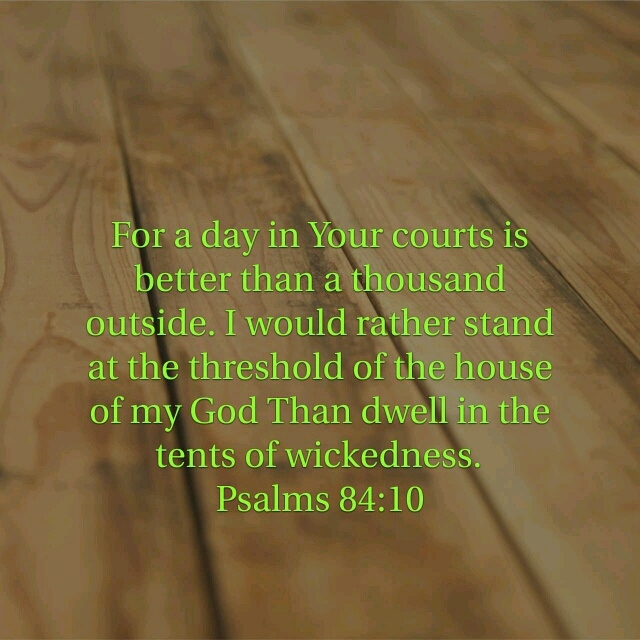 For me I would rather be in the house of God, in His presence with His people. Even if it is hard and difficult at times, that to be in the house of the wicked sharing in their feast and having a good time. Moses in the word of God said that he rather endure hardship with the people of God than to enjoy pleasure which is for a time. There are two enjoyment one which is for a while, which is only limited for this present time and when are are dead it is over. But then there is the second which is everlasting, and it is only for those who love God, who when through hardship for Him, and who loved God and His work more than their physical life and pursuit. And His word says that man life does not consist in the abundance a man have. So again where would you rather be? As for me I rather be in His presence. Next Post What is your testimony?